Face-to-face interview has been the main method used by almost all agencies in Indonesia to collect data. However, given changes on the demands from the end users of marketing research and respondents’ exposures to new technology, is this still the right methodology to be relied upon? Or a new data collection method needs to be adopted? In the marketing research industry, there are several methods for collecting primary data from respondents. These methods include face-to-face interview (F2F), phone interview, web interview/online interview and mobile survey. Face-to-face interview is currently the main method used by research agencies in Indonesia to collect data. It is estimated about 85% of quantitative data collection uses F2F method. Using this method, research agencies deploy interviewers to go to door-to-door to administer questionnaires. Deploying a large force of interviewers is costly and time consuming to complete a research project. Phone interview is still used by a few research agencies but this method remains small due to limited landline telephone penetration. Web or online interview was seen as the future of data collection. It was expected to be more efficient and faster. In Western countries, research agencies adopted this method replacing F2F. However, this method turned out to be rather disappointing in Indonesia. The barriers for online interview in Indonesia were due to low penetration of computers ownership in home and limited broadband internet access. With increasing competition and client’s pressure to find a quicker and more cost efficient method, the mobile survey method presents an attractive alternative. A few research agencies have started to trial the new method, but the majority still sit on the fence, waiting to be more convinced before adopting this new approach of data collection. End users of marketing research demand faster research turnaround and cheaper research budget. Prior to the economic slowdown in 2014-15, clients still could wait for a market-and-consumer understanding study to be completed in 3 to 4 months, a concept-product test or a TV commercial evaluation study in 2 to 3 months. However, they can no longer wait for research results that long. One mobile operator requires its research agencies to be able to give them post-ad launch feedback with 5 days only. Research agencies that cannot meet this growing trend of faster turnaround will be abandoned by clients. The economic slowdown has caused clients to prioritize their marketing budget and often the marketing research budget is the first one to be cut. Thus clients’ research department has to find ways to maximize their reduced research budget. This pressure is passed to research agencies. Research agencies are expected to come up with research design that is quicker and cheaper. If F2F method is used, these demands are difficult to fulfill. Mobile survey is the solution. For example, a post-ad launch study with 400 respondents will take around 4 to 5 weeks to complete from the start of data collection to report delivery, and will cost the clients around Rp.150 to 170 million using face-to-face interview method. In contrast, using mobile panel to conduct this study will take only 1.5 weeks to complete and will cost only around Rp.25 to 35 million. While the capacity to accommodate length of questionnaire can be different, the core analysis will be very similar regardless of the data collection methods. Increases in smartphone penetration contribute to the appeal of mobile survey. The latest study from Google found that the current penetration of smartphone users in Indonesia already reached 43% of all mobile phone users, jumping from 28% in the previous year. Another study indicated that by 2018, the total number of smartphone users in Indonesia would reach 100 million users. This presents a large pool of potential respondents for survey using mobile phone. Nevertheless, there are still many research agencies doubting the validity of research using mobile survey. They are worried about the sample representativeness using mobile survey and the quality of respondents when using mobile panel. On the representativeness of respondents using mobile surveys, agencies are concerned that the sample will be biased towards population segments with certain demographic profiles only as opposed to random representative of Indonesian population. While on the quality of respondents, the concern is mainly whether the person answering the survey is the person he/she claims to be; how the agency can be assured that the respondents are really male or female from upper socio-economic status with a certain age group. On the sample representativeness, it is true that mobile survey still cannot match the representativeness of sample done through face-to-face, but mobile survey is never meant to be the answer for research study that requires statistically representative of the population in the first place. Mobile survey benefits should never be pushed or confused as a representative sample survey. Mobile survey should always be about faster turnaround and cheaper costs. On the quality of respondent, to be assured of the quality, one must always source mobile panel only from reputable mobile panel providers. There are a few mobile panel providers currently in the market, each offers their own ways to ensure the respondents quality. The standard methods are by using algorithms to ensure that it is a real person and not a robot and by using ‘trap’ questions to check for consistency. One agency requires the panel members to provide valid ID numbers (KTP) to ensure that the person is real. 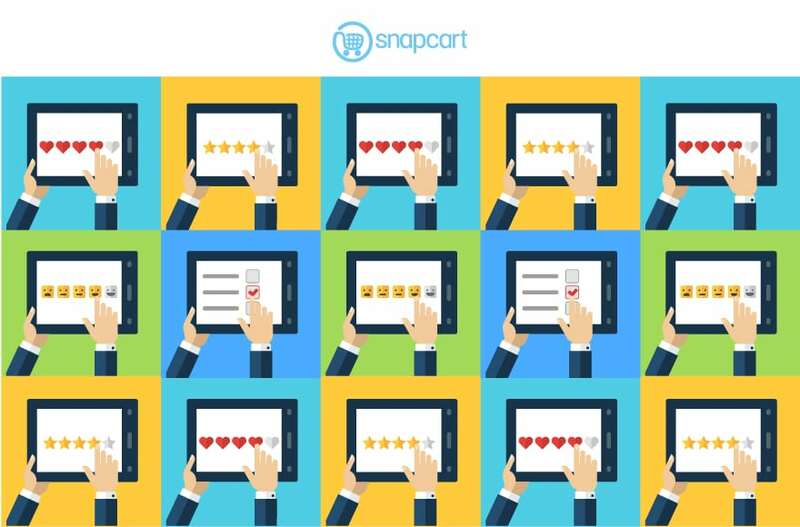 Snapcart is one of the providers of mobile respondent panel that uses yet another approach to ensure the quality of their panel members. Instead of recruiting the panel members specifically for research purposes, Snapcart recruits them for other purposes first, then utilizes the panel for research purposes. Snapcart’s main purpose is to recruit shoppers who purchase grocery products from stores with cash registers across Indonesia. When these shoppers scan and send the receipts using Snapcart apps, then they will get cash back in return. Panel members recruited were never sensitized or primed for marketing research panel. This ensures better quality responses from the respondents. Mobile research method might still be at its infancy stage, but it may be the key to help survival of research agencies in future. With the increasing level of competition faced by clients, the demands of faster project turnaround and cheaper costs will stay and grow more. People as potential respondents will also have their habits changed with the increasing penetration and usage of smartphone. No longer they will have the time to answer a long questionnaire, but would prefer shorter questions as typically found in mobile survey. Any agency that is not willing to consider and learn to adopt mobile research is likely to struggle to compete in winning clients. Just like the famous quote from Charles Darwin says “It is not the strongest of the species that survive, nor the most intelligent, but the one most responsive to change”, research agencies must adapt the new method to survive the competition.